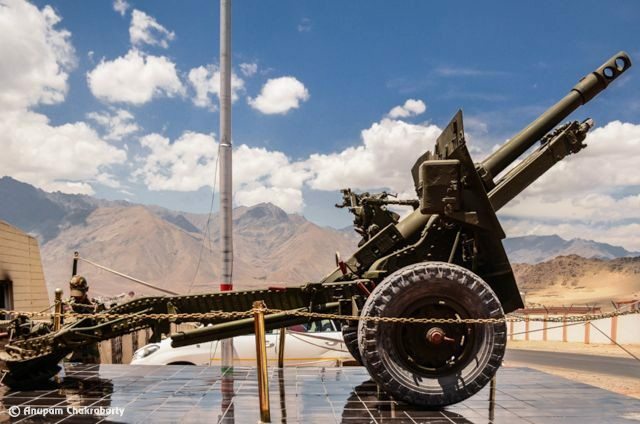 Majestic Ladakh :: Hall of Fame and The Last Post - Ghumakkar - Inspiring travel experiences. 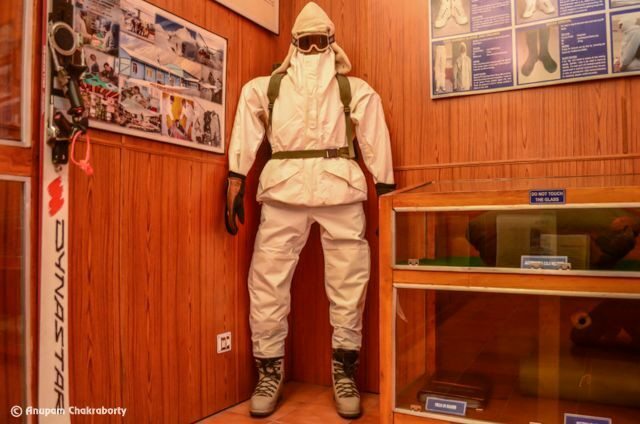 In the memories of brave Indian soldiers who fought and lost their lives in Indo-Pak wars, a museum known as HALL OF FAME is constructed by the Indian Army. 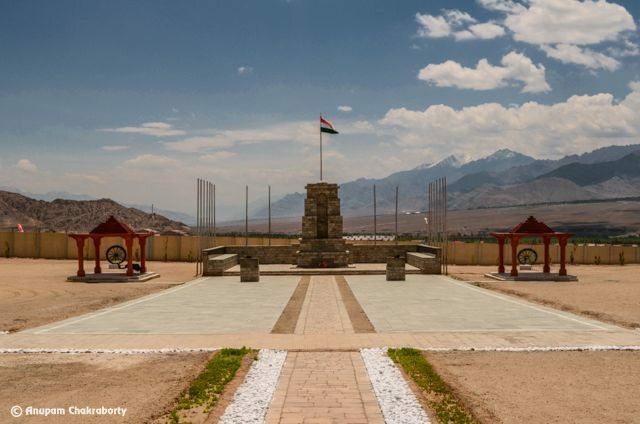 It locates on the Leh-Kargil road about 4 Km away from Leh city. We took the entry ticket at INR 25/- per person and paid an additional charge of INR 50/- for photography inside the museum. As we entered inside the museum we were briefed by an Army Personnel. 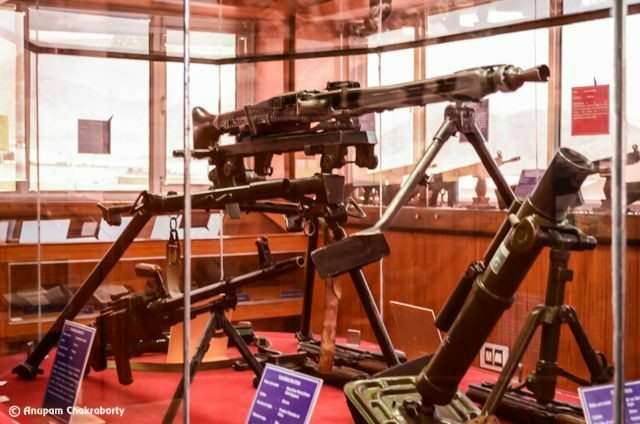 This two storey museum is maintained by the Indian Army and divided into various sections for displays. A section of the ground floor portrays the facts, culture and history of Ladakh. It has a souvenir shop where you can get t-shitrs, coffee mugs, caps, pashnima shawls etc. Enthusiast may shoot photos in Ladakhi attire in the photo shop and take the print for a nominal charge. Finding no interest in it, we went to another section of the same ground floor. 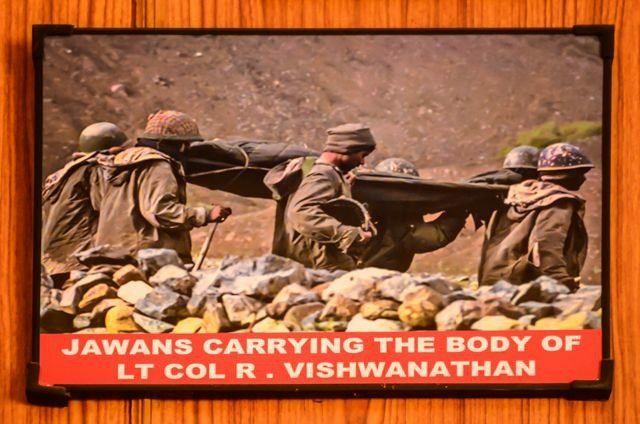 The walls here are occupied by the pictures of Kargil War 1999. It transported us to decades back. 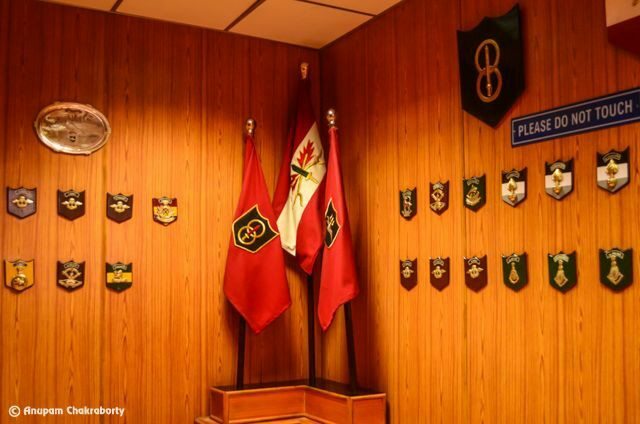 The displays on the walls gave us a vivid portrayal of how Indian Army fought the war. 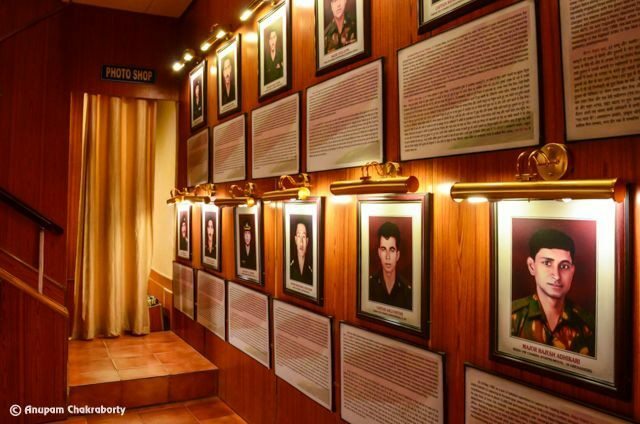 LEST WE FORGET is a wall portraying the photographs of those brave soldiers who laid down their lives fighting for the nation. We paid our tribute to those brave soldiers and took the stairs to upper floor. A section in the upper floor is named as OP Vijay Gallery. 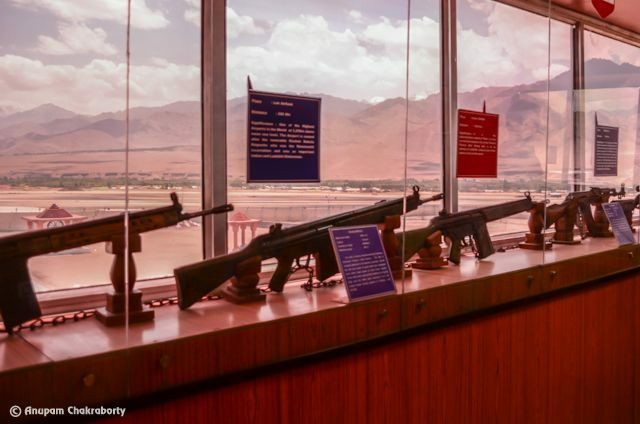 It displays weapons used in Kargil war and also Pakistani arms and ammunitions captured by the Indian Army during the war. 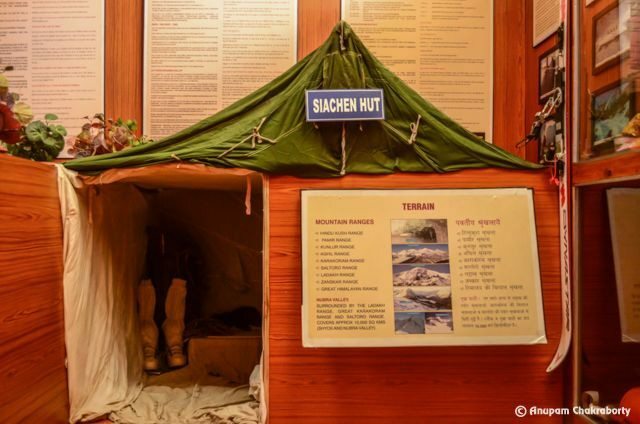 There is also a section in the upper floor displaying Siachen area exhibiting apparel and amenities used by them in that region. 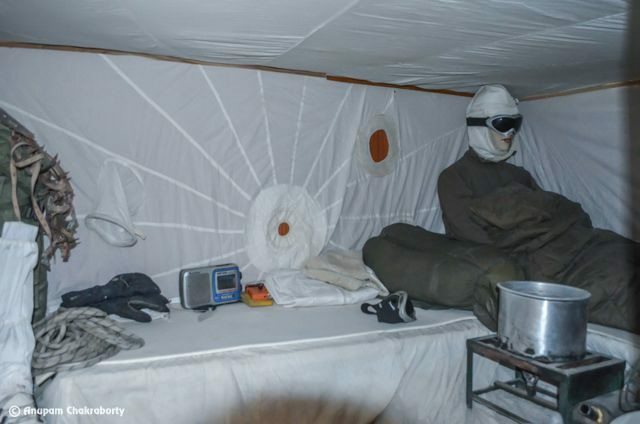 It displays pictures of the army post on the glacier, living accommodation of troops and how the troops take trainings on ice wall etc. We came down to the ground floor again. There we saw a projection room where a short documentary on “Operation Vijay”, the Kargil conflict was about to start. We took our seat and watched it. It was a short film about the war. By end of the show, as obvious, the slogan of “Vande Mataram” and “Jai Hind” by the visitors echoed the hall. We came out and saw in the backyard a memorial with Indian flag flying high. It took us around two and half hours to complete the museum. It worth every minute spent in the Hall of Fame. We were almost completed and returning, but the frame on a wall of ground floor held me back there. It named as THE LAST POST. 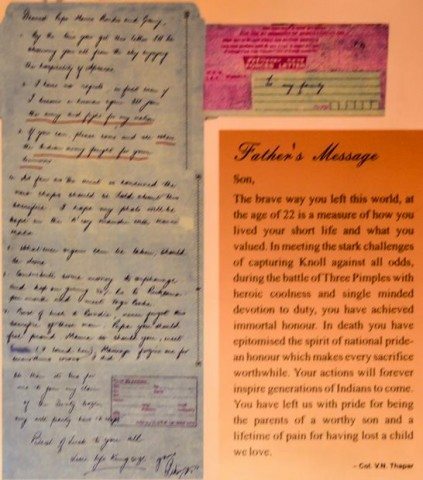 It was the letter written by Captain Vijayant Thapar to his parents days before he made the ultimate sacrifice. My dear reader without writing much of it let me take you to the LETTER. I stood for a while. It touched my heart. He could write about his death before! Certainly his determination was firm to fight till the last and breathe last fighting for the nation. 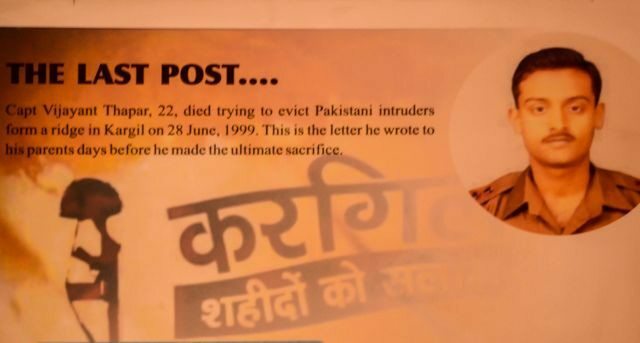 ABOUT CAPT VIJAYANT THAPAR: At Kargil war of 1999 Capt Vijayant Thapar audaciously attacked the enemy machine gun posts and destroyed them at Three Pimples, Knoll and Lone Hill. But in the process he lost his life. For displaying raw courage and exemplary valour in the face of enemy Capt Vijayant Thapar was posthumously awarded India’s high military honour the “Vir Chakra”. 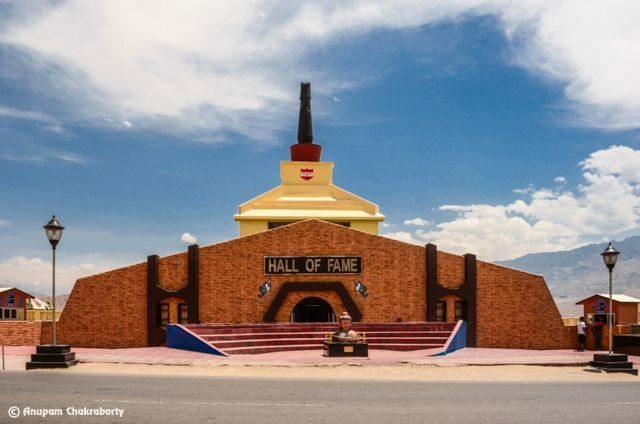 The Hall of Fame is a place must to visit when you are in Leh. The museum remains open till seven in the evening for the visitors. So true is the above message of Lord Buddha, but does our enemies know that? Who wants a war? 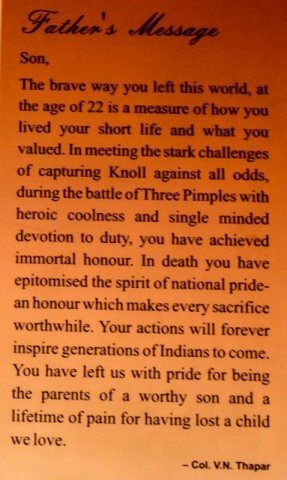 But then it is the pride and honour of the nation and our tomorrow for which such supreme sacrifices have been made by our brave soldiers. My salute to all of them! A fresh dream and a new place; a plan again and a move on; then a little pause and out again.......... travelling is what I dare to dream. 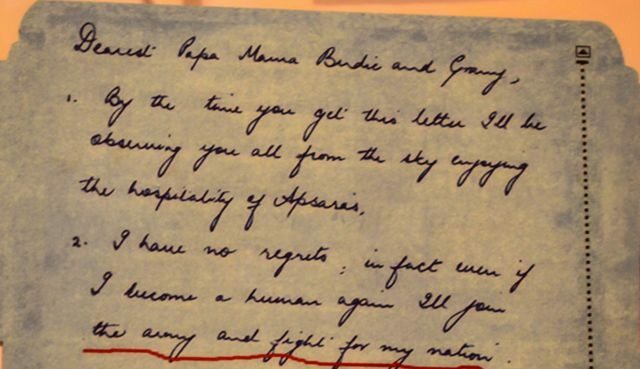 Reading Capt.Vijayant Thapar’s letter, brought tears to my eyes. 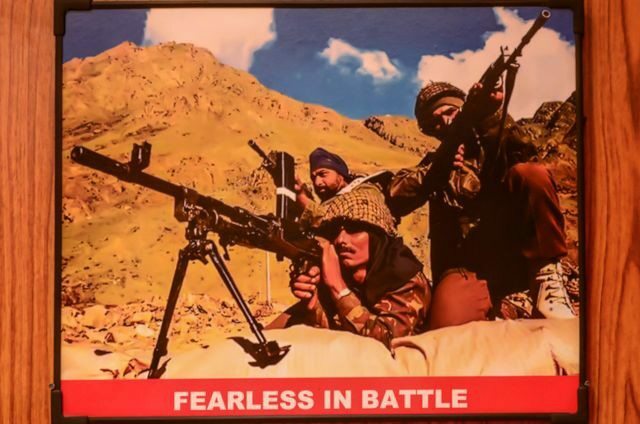 Long live the memories of the bravehearts who gave up their lives safeguarding the nation. 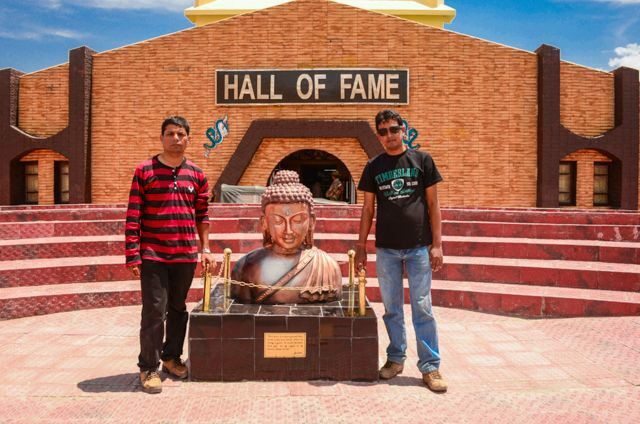 Anupam, thanks for a detailed write up of Leh’s(and India’s) Hall of Fame. 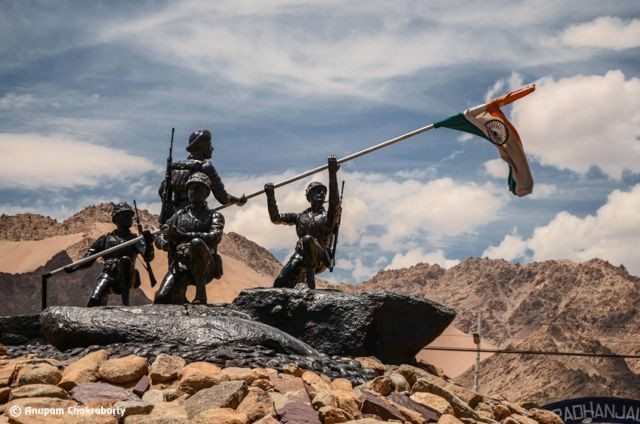 A big salute to our Indian Army. beautiful and heart touching post. Salute to our brave soldiers. I second the views of Silentsoul. 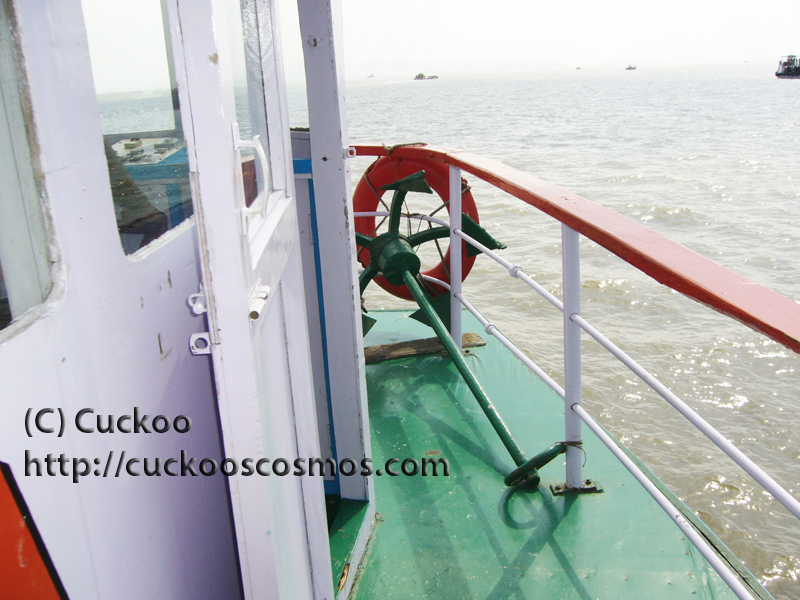 It is the most heart-touching photolog. Good photos. A true salute to our Bravo’s ,never to forget them. These memorials are must. Thanks for your kind words, Neeraj! After Kargill, one of the roads at Noida has been named after him. 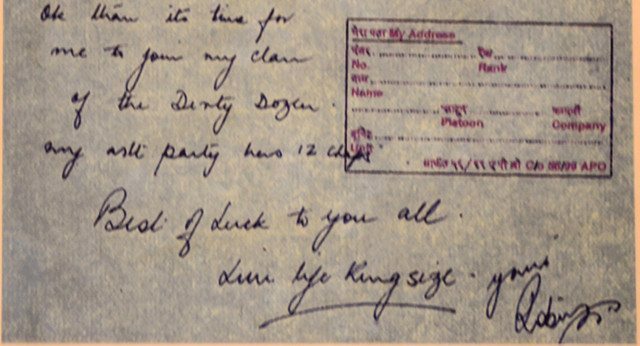 I frequent that road often and was aware (since I stayed in an Army sector for few years, at Noida) but after reading this log, probably there is now even a greater pride in me. You summed it well when you say that who wants a war. But then when you are left with no option, you need to defend yourself, fair and square. 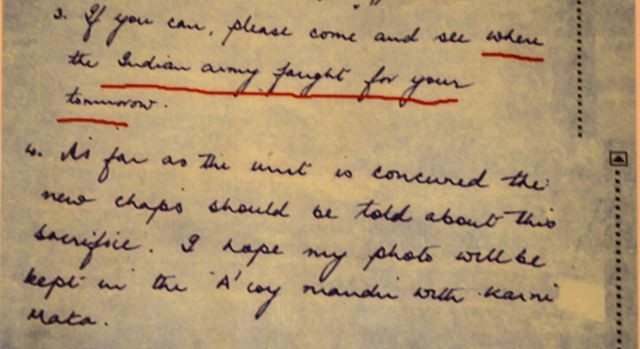 I do hope for a day when the great leaders of India and Pakistan, focus on improving the quality of life of the ordinary citizens then engaging in lose-lose situation of a war.